Go to the page bottom to see when the latest catch was. Would you like to share your armadillo story and have it published here or on my blog? Just use the Contact Us form and send it in like Trapper80 did. 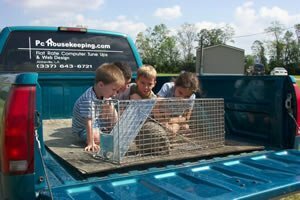 We live in Southwest Louisiana on one acre and after months of holes in the yard and messed up flower beds it was time for some armadillo control. I tried shooting them but they travel when I sleep. 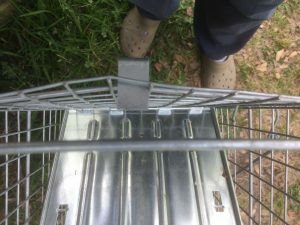 Web research brought me to the idea of an armadillo trap and I bought one online on June 25, 2005. It’s getting a little rusty 6 years later and I’m planning on getting a second one. The one I have picked out is at Shopping Warehouse and it’s the same size but collapsable. I’m passing this on to anyone that stumbles on this site. 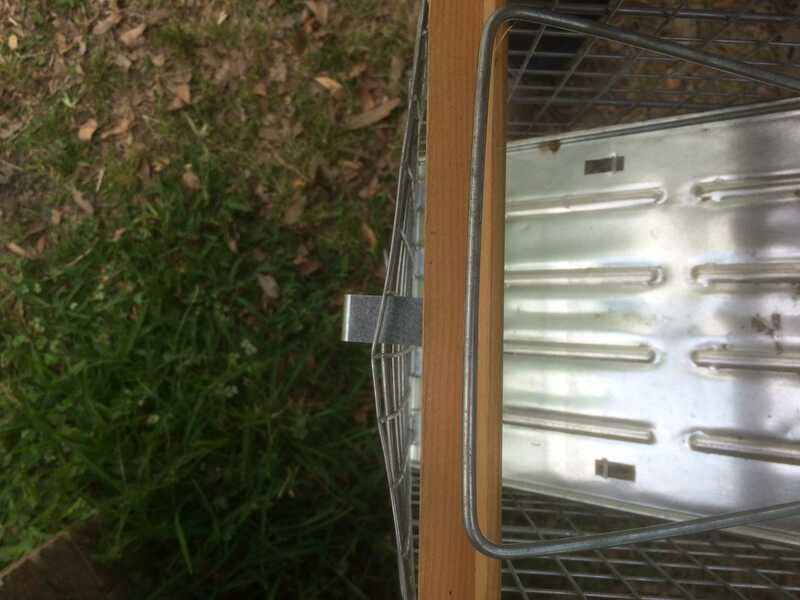 If you want to catch an armadillo this trap really works on armadillos. 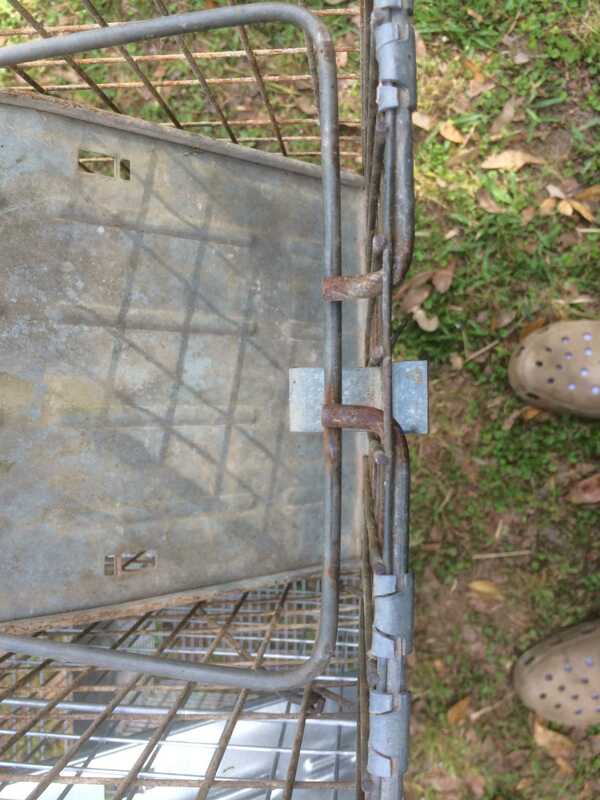 This is the trap we use and it’s a Havahart. We didn’t get it from them as they seem to be more expensive than their resellers. We did finally catch a raccoon. 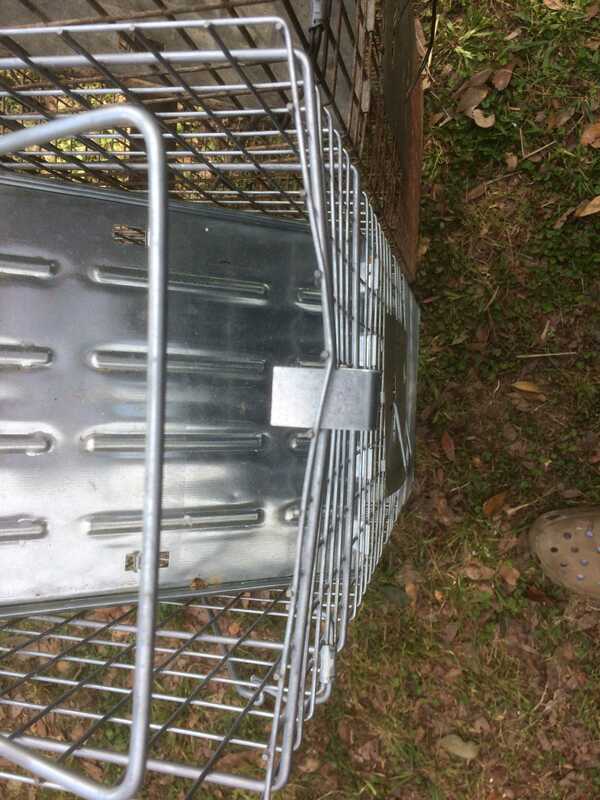 I just looked around till I found the armadillo holes and put the trap unbaited next to the entrance. I plan to bait with some worms if setting next to a hole stops working. 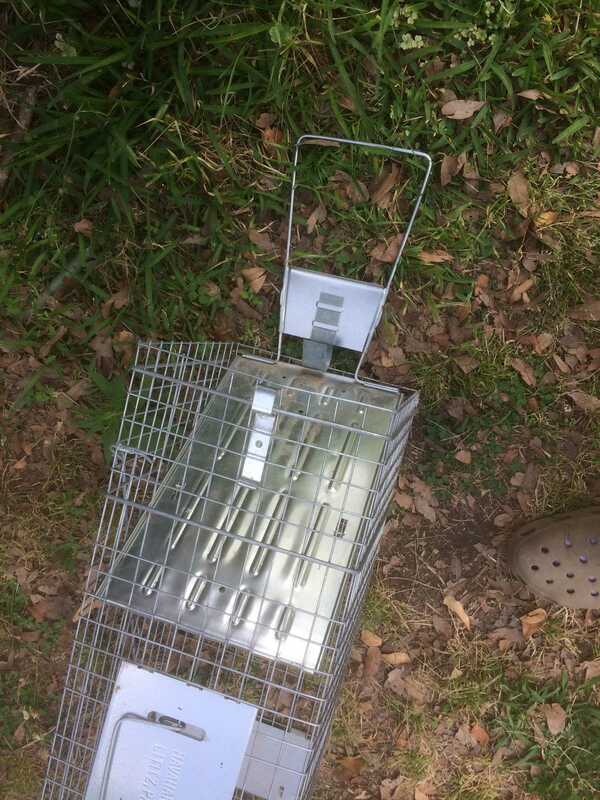 The trap seems expensive but there’s a dillo control dude in Florida that gets $50 per armadillo catch. Trapping your own pays off if you have the luck I did. The quick math shows a savings of around $7,050 (As of 05/21/2018). Hot Tip: If your trap is not catching look for stiffness in the trigger. It has hinges that need a drop of oil every so often. If they corrode inside take a screwdriver and open them up a little. You need to test every so often and make sure the trigger is real responsive. Dillo #12 on 03/14/2006 Spring is here! Dillo #17 on 08/02/2006 I must love keeping records. Dillo #28 on 03/31/2008 Season starts early! Dillo #30 on 04/23/2008 They never stop! 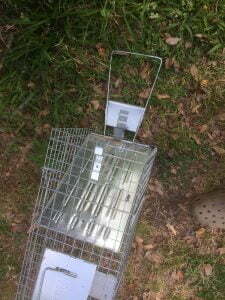 Dillo #36 on 07/06/2008 Hid the trap under grass! Dillo #37 on 07/10/2008 Hid the trap under grass! Dillo #38 on 04/02/2009 A new season begins! Dillo #48 on 11/21/2009 First November Catch. Dillo #73 on 05/20/2011 4 in last 20 days. Dillo #83 on 03/20/2012 Spring and trap have sprung. Dillo #84 on 03/21/2012 Two days in a row! Dillo #93 on 04/03/2013 First Dillo of the new season. Dillo #95 on 04/09/2013 Two days in a row. Dillo #104 on 05/10/2014 Off to a late start this year. Dillo #110 on 03/30/2015 First Dillo of the new season. Dillo #120 on 04/21/2016 First one for this year. 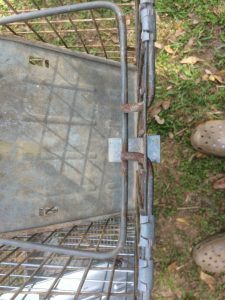 Trapping raccoons late June and early July 2016 so not any Dillo action. 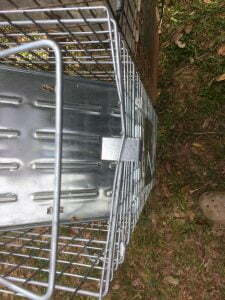 Caught 8 raccoons. 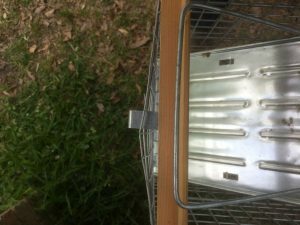 Dillo #128 on 03/7/2017 First for 2017 and now with two traps. Dillo #138 on 04/26/2018 First Dillo of the new season. Busted out! The Mermentau River is probably the place that I enjoyed fishing the most. It starts near the town of Mermentau with the convergence of three pretty good size bayous. It ends in the Gulf after passing through Lake Arthur and Grand Lake. Eighty percent is kept fresh by the Catfish Locks run by the Army Corps of Engineers.